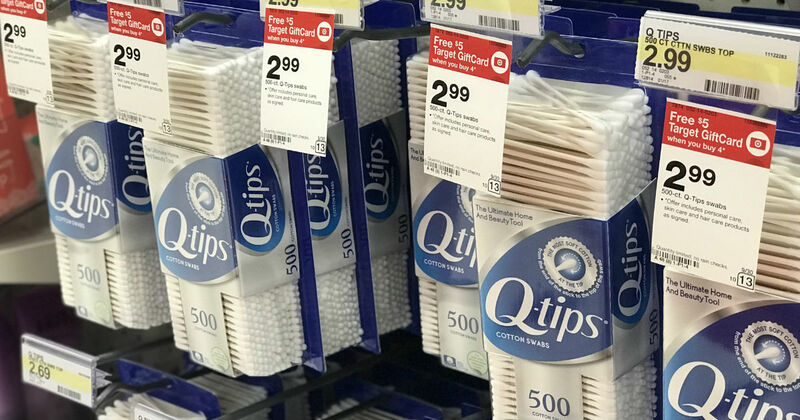 ​ Q-Tips 500-ct Packs for ONLY $1.74? Yes Please! Target has the Q-Tips 500-ct Packs for $2.99 each. Get a FREE $5 Gift Card when you purchase (4) boxes of Q-Tips 500-Count making this a great deal.